American baritone Jarrett Ott was recently named one of twenty-five “Rising Stars” by Opera News, who described his voice in Cold Mountain as having an, “often ravishing, airy vocal finish…he brought the testing role not only lovely, Pelléas-like sound but a deep investment in the words.” In his continued career ascension, Mr. Ott will make many important role debuts, including Papageno in Die Zauberflöte with Opera Philadelphia as part of their inaugural O17 festival, Figaro in Il Barbiere di Siviglia with Lyric Opera Kansas City and Dayton Opera, Jupiter in Offenbach’s Orpheus in the Underworld with New Orleans Opera, and at Santa Fe Opera, Harlekin and Maximilian in Ariadne auf Naxos and Candide, respectively. Important concert debuts include Carmina Burana with Seattle Symphony, Brahms’ Requiem with Columbus Symphony and Stanford’s Songs of the Fleet with the New York Choral Society at Carnegie Hall. Mr. Ott will join the Ensemble of Staatsoper Stuttgart beginning in 2018-2019. In the 2016-17 season, Mr. Ott made his major European opera debut at Deutsche Oper Berlin singing the role of the Angel in Andrea Scartazzini’s world premiere work Edward II, directed by Christoph Loy, and embarked on a European tour with Perm Opera and Music Aeterna as Don Pedro de Alvorado in a concert version of Purcell’s Indian Queen, with stops in Geneva, Köln, Bremen and Dortmund. In North America, Mr. Ott made three important role debuts: as Curly in Oklahoma! with Glimmerglass Festival, Zurga in Pearl Fishers with North Carolina Opera and Charlie in Jake Heggie’s Three Decembers with Opera Memphis. Concert engagements included debuts with Colorado Springs Philharmonic in Carmina Burana, a holiday concert with the Lexington Philharmonic and The Hyland Mass, a world-premiere with the New York Choral Society at St. Patrick’s Cathedral. 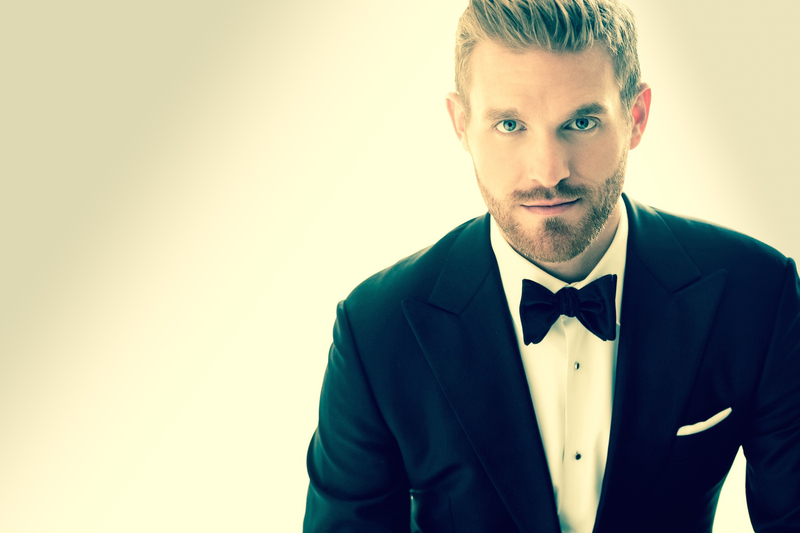 Jarrett Ott recently made professional debuts with Gotham Chamber Opera, Opera Philadelphia, The American Symphony Orchestra, and Annapolis Opera as Guglielmo in Così fan tutte. He has been featured in lead baritone roles for the Curtis Opera Theatre including Dandini in Rossini’s La Cenerentola, Marquis de la Force in Poulenc’s Dialogues des carmélites, Argante in Handel’s Rinaldo, Aeneas in Purcell’s Dido and Aeneas, Gregor Mittenhoffer in Henze’s Elegy for Young Lovers, Valentin in Gounod’s Faust, Haraštain Janáček’s The Cunning Little Vixen, and Le Mari in Poulenc’s Les Mamelles de Tiresias. Jarrett was a participant at the Chautauqua Institution for the 2009-12 seasons with leading roles in Le Nozze di Figaro (Count Almaviva), L’elisir d’amore (Belcore), The Crucible (John Proctor), and the title role in Gianni Schicchi. In the summer of 2015, he was part of Santa Fe Opera’s Apprentice Program, singing Marullo in Rigoletto and covering Inman in the world premiere of Jennifer Higdon’s Cold Mountain. Jarrett Ott is based in New York City and received his master’s degree at the Curtis Institute of Music, studying with baritone Randall Scarlata, as well as Marlena Kleinman Malas.